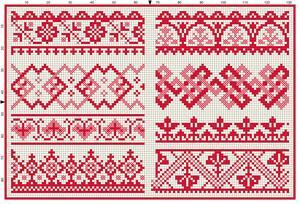 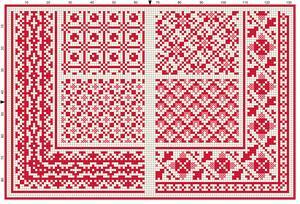 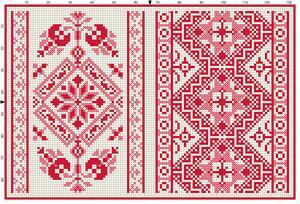 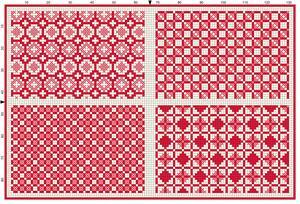 8 pages of charted designs suitable for cross-stitch. 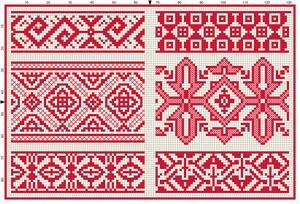 Two colors are implied by use of shading. 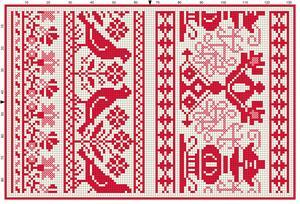 Traditional all-over designs, folk borders and corners; some designs (facing birds, interlace borders) appear in older design collections. 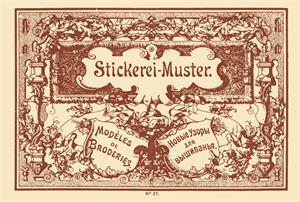 Title in German, French and Russian. 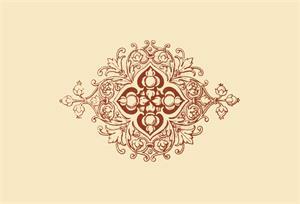 No date, probably around 1900. 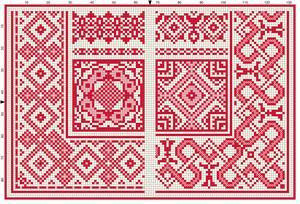 Scans donated, charted and edited by Sytske Wijnsma.